(Natural News) It’s not a secret that exercise has many benefits for the body. Whether you’re trying to lose weight, reduce your risk for chronic disease, or just relieving stress, several minutes of exercise can do wonders. A study that was co-written by faculty from Binghamton University, Karolinska Institutet and Karolinska University Hospital found that exercise can also aid people recovering from muscle inflammation. Myositis or muscle inflammation refers to a condition where the muscles you use to move your body become inflamed. There are currently two known types: polymyositis and dermatomyositis. Polymyositis is characterized by feelings of weakness, usually in the muscles close to the body’s trunk. Dermatomyositis has the same symptoms but is accompanied by a skin rash. Infections, injuries, and chronic diseases are among the most common causes of muscle inflammation. The study focused on autoimmune disease, which occurs when the immune system attacks healthy cells instead of pathogens. In the case of myositis, the immune cells kill the cells that make up the muscles. To cope with the condition, sufferers are prescribed several medications, including corticosteroids. Like many other chemical medications, corticosteroids are known to cause various side effects. These include bruising, weight gain, hypertension, and an increased risk of glaucoma and cataracts, among many others. Moreover, Kanneboyina Nagaraju, a professor of pharmaceutical sciences at Binghamton University and co-author of the study, said myositis medications only do half the job. While they do manage to soothe the pain and attenuate the action of immune cells, they do not aid in the recovery of dying muscle cells. “Yet, exercise takes care of the immune cells that are killing the muscles, and repairs the cell death of the muscle,” he said. Nagaraju and an international team of researchers conducted an experiment using two groups of participants: a 12-week endurance exercise group and a non-exercise group. 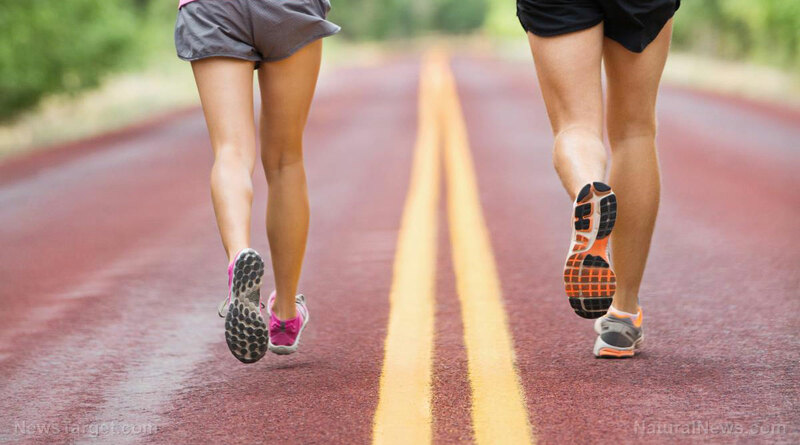 Their goal included determining how endurance exercise changes skeletal muscle microRNA. To determine any alteration in the participants’ muscles, their muscle biopsies were recorded before and after exercise. He believes that their findings can help in the creation of more effective measures to counter muscle inflammation. Heat packs – Get a heat pack and soak it in hot water. Apply on the affected area (wrap the pack in towels if it’s too hot) and wait until your muscles have relaxed. Once the contractions have ceased, you can stretch out the muscle to prevent further pain. Hot water bath – Just like the heat packs, giving yourself a hot bath will help relax your muscles and ease the pain. Ginger – This vegetable is great for inflammation relief because it prevents the synthesis of inflammatory prostaglandins. Licorice roots – This is a traditional treatment for inflammation. You can prepare an extract made from licorice roots which you then need to take twice a day daily. It is also available as a supplement. Find useful remedies for muscle inflammation at Remedies.news.